Detailed Synopsis of the Novel from Wiki: Jiang Feng, a handsome young martial artist, is injured during a misadventure. He is saved by the sisters Yaoyue and Lianxing of Yihua Palace, who are considered the most powerful female martial artists in the jianghu (martial artists’ community). The two sisters fall in love with Jiang Feng, but he spurns them because of their arrogance. He starts a romance with their servant girl, Hua Yuenu. 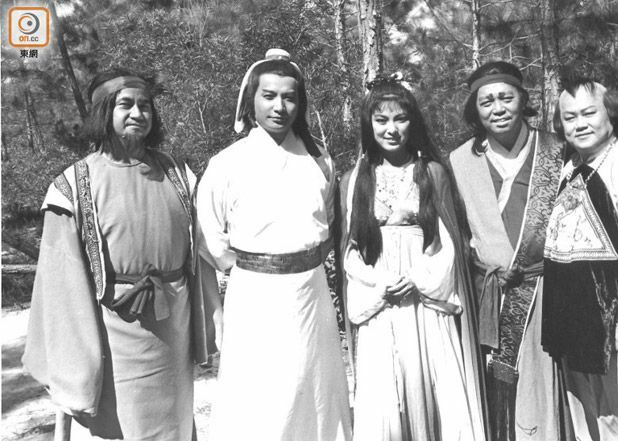 Jiang Feng and Hua Yuenu are forced to flee from Yihua Palace after Hua becomes pregnant with Jiang’s child. However, they are betrayed by Jiang Feng’s servant, Jiang Biehe, and attacked by bandits. Hua Yuenu gives birth to a pair of twin boys and dies together with Jiang Feng during the attack. Yaoyue and Lianxing soon catch up and find the couple dead. Yaoyue refuses to forgive Jiang Feng for rejecting her love and vows to take her revenge by making his two sons destroy each other. They adopt one of the boys as their own child and abandon the other. The other boy is saved by Yan Nantian, Jiang Feng’s sworn brother and one of the most powerful martial artists in the jianghu. Unaware of the first boy’s fate, Yan Nantian pursues Jiang Biehe into the Villains’ Valley, a place populated entirely by criminals. There, he encounters five of the notorious Ten Great Villains. He defeats them easily but falls into a trap and gets captured. The villains torture him until he loses consciousness, but refrain from harming the second boy and instead decide to raise him as their apprentice and groom him to become the greatest villain in history. More than a decade later, the twins have grown up and become a pair of handsome youths. Yaoyue and Lianxing name the boy they raised “Hua Wuque”, and teach him the martial arts of Yihua Palace. The other boy, Xiaoyu’er, is trained by the Ten Great Villains in different martial arts and a wide range of “villainous” skills such as theft, the use of poison, and the art of disguise. Xiaoyu’er ventures into the jianghu alone and encounters young maidens such as Tie Xinlan, Su Ying and Zhang Jing. He gets into complicated romantic relationships with most of them. At the same time, Yaoyue sends Hua Wuque to kill Xiaoyu’er by lying to him that Xiaoyu’er is a dangerous threat to him. In the various fights they have, even though Hua Wuque’s fighting skills are far better than Xiaoyu’er’s, the latter always manages to survive by using his wits to escape. The twins are initially hostile towards one another and have wildly different personalities. Hua Wuque is righteous but naive, while Xiaoyu’er is expedient and cunning. However, the two of them develop an uncanny friendship and mutual respect after braving danger together. At the same time, they also get entangled in love triangles with the maidens they meet. Yaoyue is determined to make the twins kill each other so she forces Hua Wuque to challenge Xiaoyu’er to a fight to the death. Xiaoyu’er is seemingly killed by Hua Wuque during the duel. After Xiaoyu’er’s apparent death, Yaoyue exposes her true intentions to Hua Wuque and tells him about her plan to make their father pay the ultimate price for scorning her. Hua Wuque is shocked when he learns that Xiaoyu’er is actually his twin brother. However, Xiaoyu’er comes back to life later and reveals that he feigned death earlier by consuming a special drug. The twins finally recognise and acknowledge each other as brothers. Past Adaptations: Which is your favorite? 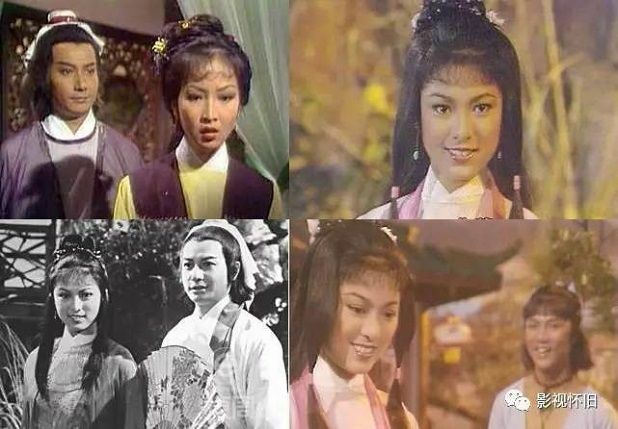 In 1979, TVB did a version called The Twins with Wong Yuen Sun, Shek Sau and Michelle Yim. Oldest version is in 1977 by Taiwan. Michelle was and still is very beautiful. This picture is adorable, really depicts everyone’s personality really well. 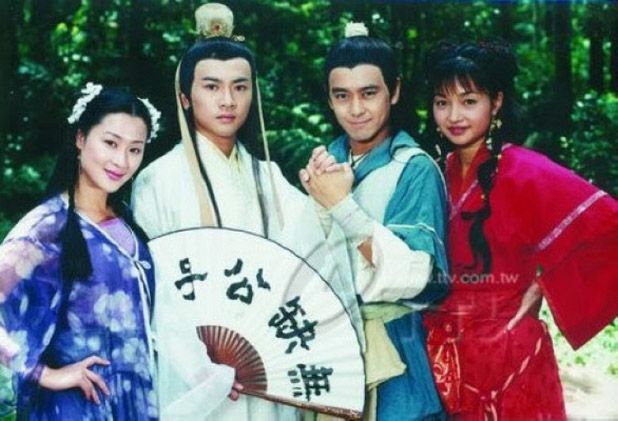 In 1999, Taiwan remade their own version again called The Legendary Siblings with Jimmy Lin, Alec Su, Vivien Chen and Theresa Lee. This version I remember. 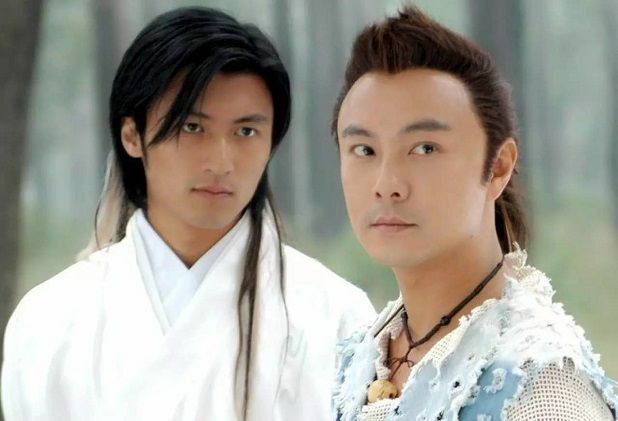 And I think the younger group of audience of AVV might have probably watched the version Hong Kong did in 2005 – The Proud Twins with Dicky Cheung, Nicholas Tse, and Fan Bing Bing. 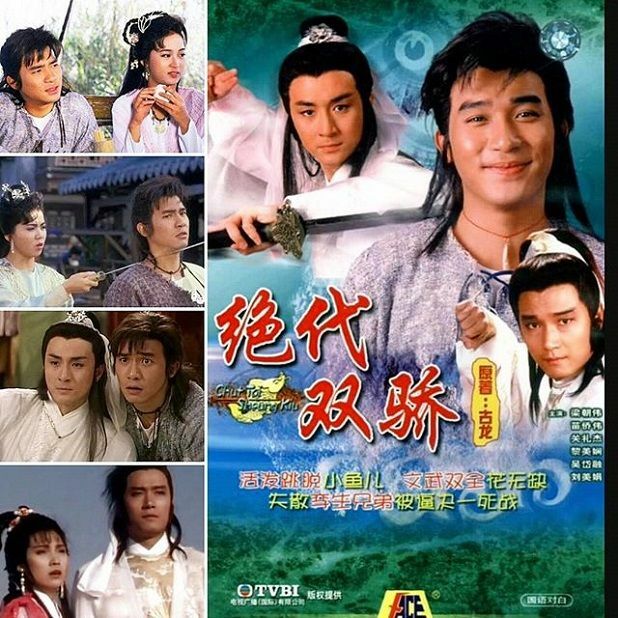 This entry was posted in Entertainment News and tagged Alec Su, Author: Gu Long, Cdrama, Dicky Cheung, Fan Bing Bing, Handsome Siblings (绝代双骄), Hugo Ng, Jimmy Lin, Michael Miu, Michelle Yim, Nicholas Tse, Remakes, Tony Leung Chiu Wai by Kappy. Bookmark the permalink. I set very high expectations for wuxia remakes. 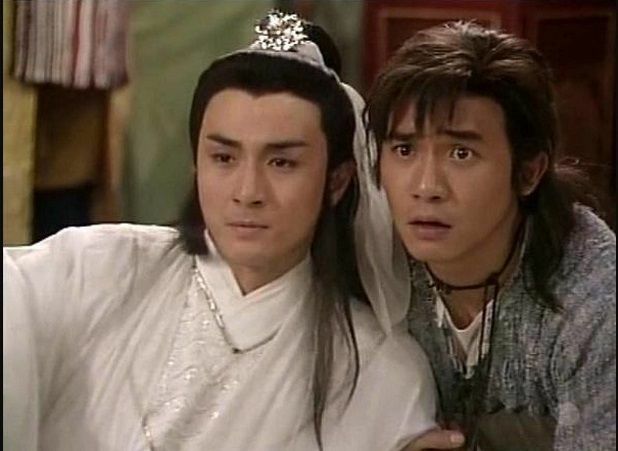 I like the Dicky Cheung 2005 version the best although the ending was too sad. I got to say that version was way overly top notched for any modern drama to be as good as, so that’s a double expectation there. All the ladies casted in it were seriously beautiful, Sun fei fei appeared for less than 30 min? and I remembered her forever, even the biggest villain (Yu Yan) was so pretty, like always, Dicky always got the super top notched beauty with great acting skills to play with him. That was the first time I ever saw Bai Xue acting and liked her sooo much! (actually, all the ladies were very new and their characters were not created just to be there to waste time but everyone was quite special in their way). Costumes in there were so good, no words to explain them, they were just unique and so real (nothing too plain, overly decorated, baggy, or color out of range). The music was traditional and rythmic as well as very touchingly sad! On top of all that already, the storyline, sequencing and pacing was overly well done, you will find that each and every episodes are so enjoyable that, naturally you won’t ever bother questioning “what the heck was the purpose of this episode, and what did I just watched again?” Final thing, no slow motion fighting!!! What is there to complain besides that the story was way too tragic? Michelle was very pretty, she seems to be leading in every wuxia drama in the 70s. Alec played HWQ a little different than Nicholas, Nicholas played it as an extremely quiet and serious person (maybe it was the first time he did quiet roles like that in here so he was deadly handsome the first time, but the afterwards such as Big Shot was getting worse). If not for Alec and Jimmy, I probably wouldn’t watch the 99 version, I didn’t like it as much, but the fightings and stylings were still very awesome there too. I’m not sure if I want to watch another adaption. At the same time I’m glad there is going to be one though. Younger Shek Sau is really odd to my eyes as I have ever only known him in later years. Lol! I don’t mind adaptations. Just need the right actors, plot, etc. to make it work. My fav is TVB’s version with Tony Leung and Hugo Ng. From the actors to wardrobe to music and sceneries – TVB nailed it. TVB excelled in JY and GL’s adaptations back in the 80s and 90s. I didn’t enjoy Jimmy’s and Dicky’s versions. Jimmy and Alec couldn’t really bring the characters into life. Dicky’s version was mainly on the stars power with him, FBB, Nic Tse, etc. It lacked substance. I have watched both 1999 Taiwan Ver. and 2005 HK Ver. 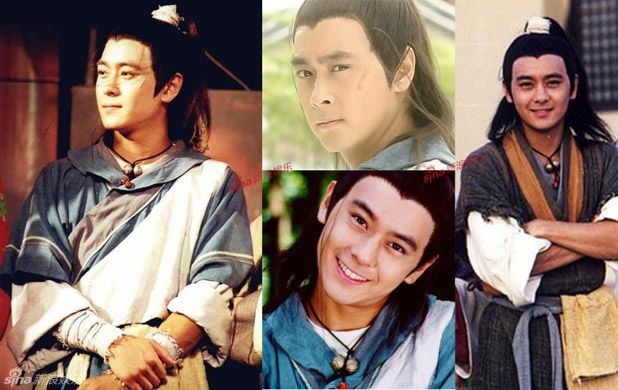 I don’t remember much about HK version but i remember how i went crazy for Jimmy Lin as Xiao Yu’er. I don’t think i can handle more remakes of the same story. It is really going to depend on the actors to pull off with bromance. I think I know of the 1988 TVB one cuz it looks familiar and I watched a lot of the older classic TVB JY,GL adaptations with m family a long time ago….but same in that I really don’t remember a thing. I think I watched parts of the Taiwanese one but have little recollection or impression of it. I definitely watched the newest HK one with Nicholas and FBB. Lol clearly I really only remember the two peeps. I don’t think I had any particular strong feelings about any of these or the story in general so I’m fine with a new version. I really hope it’s not YZ tho. I read rumours about this remake, it had one of the TF Boys, the tall handsome one, and Wu Lei name attached, I thought they were a good fit look wise. I’ve seen all the versions you’ve mentioned including the oldest Taiwan one, it was really bad, everyone was too old for their role and it had the stable Taiwan melodrama. 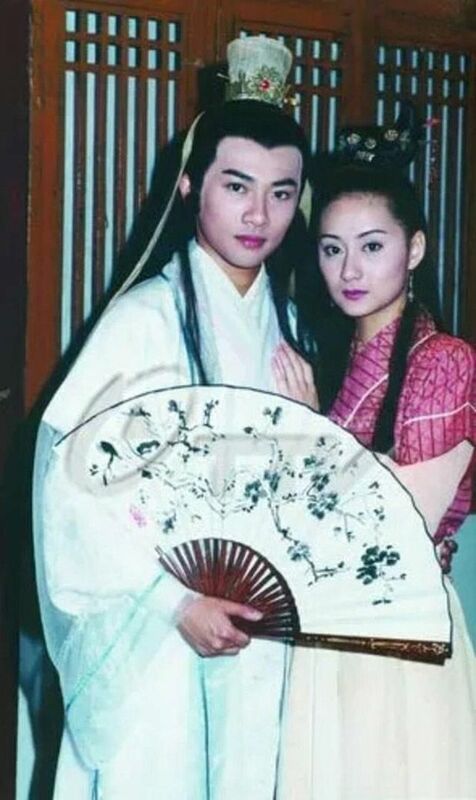 I read the books so I have to say all the versions weren’t perfect but the TVB 70s one was my favorite, I watched it in the 90s but it was still a very well done drama. The best Little Fish was actually from 70s, he wasn’t as handsome as the other actors but he captured the characters traits so well. I’m not the biggest fan flower boy but all the actors that played him well super handsome. Acting wise I would say Sek Sau but the most handsome would be TVB 80s Hugo Ng, he was so so handsome and when he smiled, a very rare thing, my heart almost exploded. 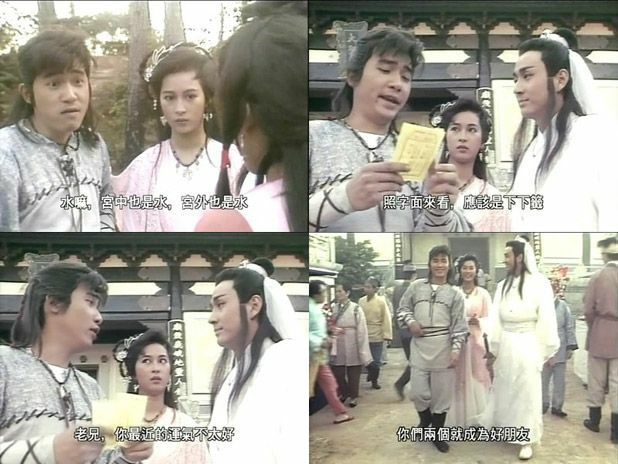 I thought Hugo Ng was perfect as Hua Wuque, he looked really handsome and refined. Didn’t watch the 70s version, but all the actors looked nice. Didn’t like the other adaptations though. Hugo was also great in another Gu Long adaptation, as Fu Hongxue in 《邊城浪子》. I can imagine Leo wu lei as little fish since he mastered quite a few very hyper roles before. he is really the best person I have in mind for characters like that, it will either be a hit or miss for some actors to try acting mischievous. I was worried what kind of roles wu lei can get bc of his youthfulness but little fish would be a good match for him. Meaning the girls cannot look older than him. Strangely, Wu Lei reminds me of Jimmy Lin in that poster above. I think I watched the classic version with Tony Leung, but I couldn’t remember much. 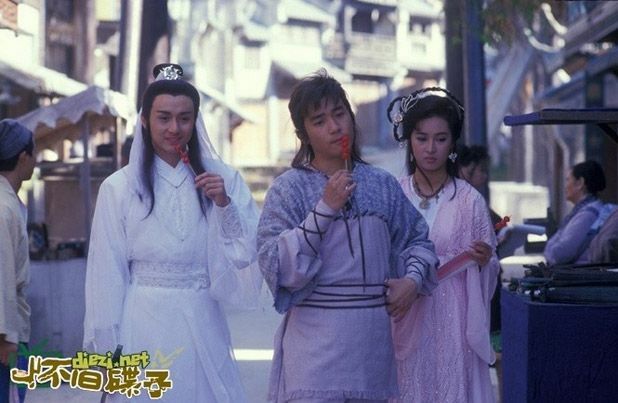 I’ve watched modern version with Alec Su and Jimmy Lin, Dicky Cheung and Tae. My favourite one is Alec and Jimmy version, i don’t like the ending of Dicky Cheung’s version version coz it’s too tragic. If really as rumoured one of the TF boys and Wu Lei will star the new adaption it will be great. Hopefully not sad ending again and they get to portrait the story well. I’ll be looking forward to this series. Dicky’s version was different with changes here and there. Hence, the tragic ending. Dicky is a very versatile actor, but his dramas outside of TVB are mainly on the cast than plot lol You can expect to see a lot of beautiful actresses with him. OMG!OMG!OMG! The 2005 version of this is one of the first chinese dramas I’ve seen. It was some horrible DVD rip on a streaming site and the sound was awful. I don’t remeber much of the story but I do remeber the crying at the end. 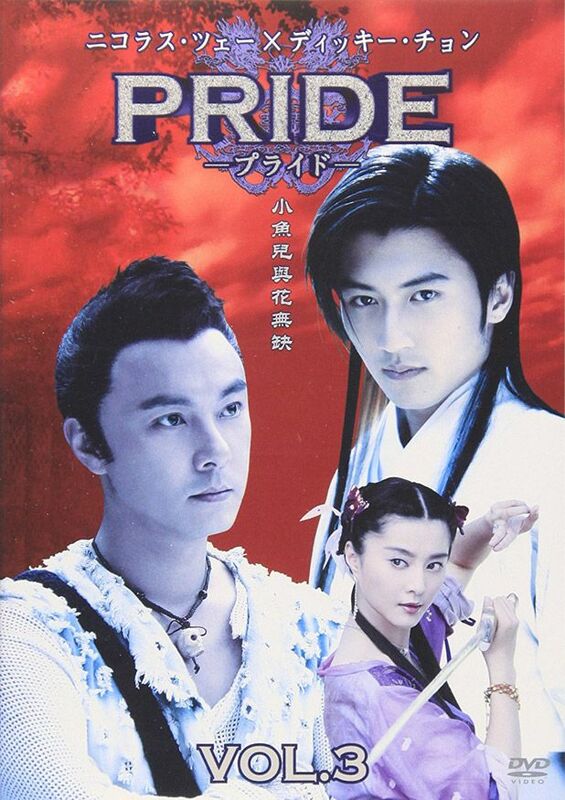 I had the 2005 version on my “to-watch” list (mostly because Nicholas Tse looked so handsome haha; plus I like FBB as well). For some reason though, I never got around to it…I think part of the reason is because I heard the ending is super depressing and I was just never in a mood for a sad drama. For this new version I’ll wait for the stills and see if it looks promising! The only version I had seen so far is Dicky Cheung version and although it had deviated from the original so much, it was pretty entertaining. I don’t know if I would have watched the series if I had read the book before seeing the series. Tie Xinlan in the book was quite irritating and unlikeable, while the Tie Xinlan from the series was better although is a bit irritating but not as much. 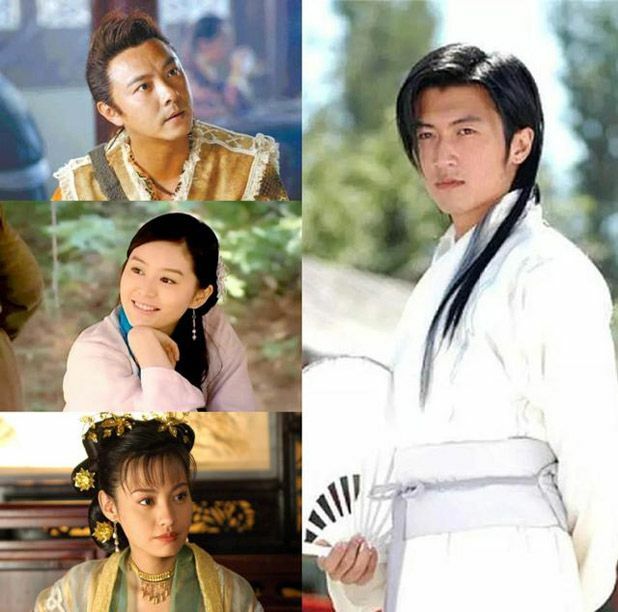 The only female character I had liked was Su Ying and Hua Wu Que’s second master. I think she, Su Ying, (mainly the book one) in many aspects resemble female protagonists in the time traveling genre (cold, calculating, etc), but this is for a whole other topic. The series actresses were all very pretty and are kind of what I envision the characters were all like so hopefully the new adaption would be able to live up to it. The series actors were not as much as how I had envisioned them to be like except for Nicolas Tse playing Hua Wu Que. Dicky Chueng was entertaining but I never really thought of him as good looking, nor rogue-ish enough to actually be Xiao Yu Er. I heard that there’s a version acted by Jimmy Lin and Alec Su which piped my interest because they both were actors I admired greatly but finding out that Xiao Yu Er isn’t going to end up with Su Ying I gave up on it. This is mainly because I love Su Ying, and although Little Fish isn’t the best man, he was the male protagonist so I just shipped them together. Due to this, I hope the new version is faithful to the book plotline (maybe not the Tie Xinlan being wishy washy part of wether she want Xiao Yu Er or Hua Wu Que) and Su Ying and Xiao Yu Er being a couple (although I wouldn’t mind Su Ying being with Hua Wu Que because he was definitely the twin that I liked and Hua Wu Que definitely deserve someone better than Tie Xinlan, but then this would make the series deviate from the original and it want it to be as faithful to the original as it can be). Omgerd!! 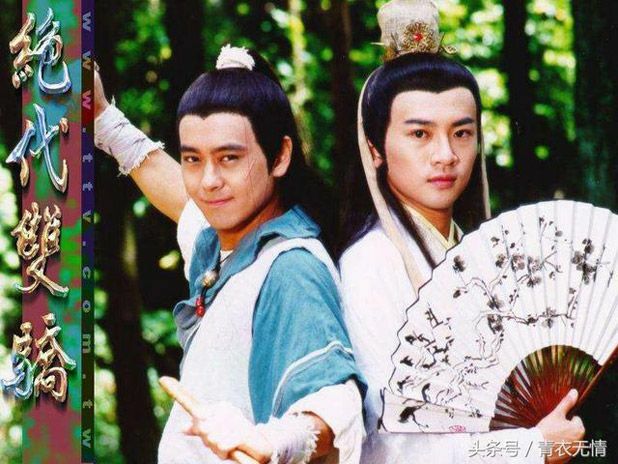 I LOVED Jimmy Lin & Alec’s rendition of The Legendary Twins. This was like one of my top 10 dramas back then. 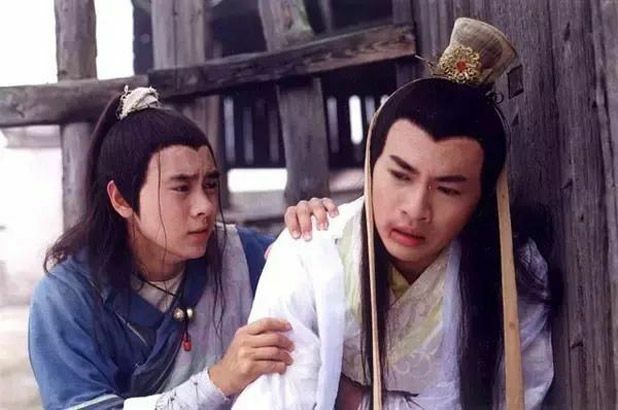 I’ve tried watching Dicky’s version, but found it bastardizing to Jimmy Lin’s version (JL’s version can be bastardized too, but since it’s my intro to Legendary Twins, I don’t care!). Not to mention those gaudy costumes and horrible plotline. And Fan Bing Bing (ew!). As much as I loved Dicky at the time, I couldn’t watch it without killing some brain cells. All that glitters is not gold. I hope the new one they make will bring justice to each of the characters (esp the ladies, I had the biggest girl crush on Theresa Lee Yee Hung after she played Little Pepper). If they pick Leo Wu Lei to be Xiao Yue’r, it would be a great decision! He has that naughty, jovial, youthful vibe to him. (But I will feel like an uber creep for liking such a young kid.) This cannot put a damper to my excitement *_*. Hope to see it soon! 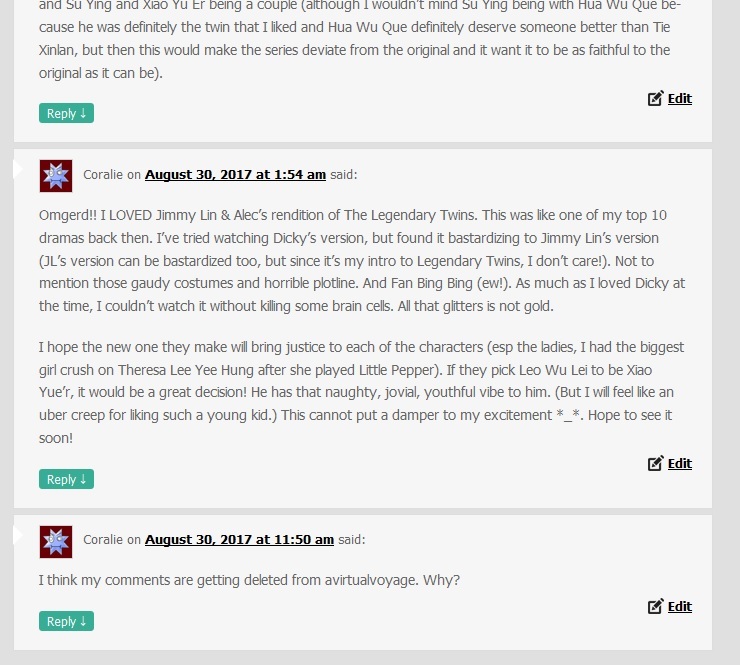 I think my comments are getting deleted from avirtualvoyage. Why? Rest assured, they are there, Coralie. Image: https://i.imgur.com/xFNGo5w.jpg The site has been acting weird updating new content even though the content are there. Still trying to find the problem.